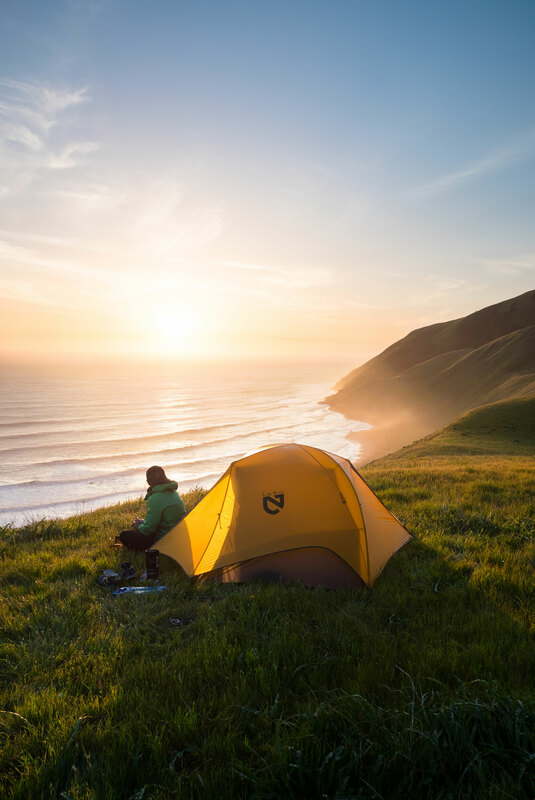 Enjoy a special #GoHikeIt interview with Travis Burke! What’s your ideal outdoor day? My ideal outdoor day is one I haven’t experienced yet. I love revisiting old places that hold special memories, like Yosemite National Park, but some of my favorite adventures happen when I’m experiencing new things with people who inspire me. I seek out days like these. What inspired you to pack it up 4 years ago and it the road? I always knew I wanted to pursue my passion for photography full time and that there was never going to be that perfect moment when everything aligned and the timing was “right.” So on my 30th birthday with less than $100 in my bank account I hit the road in my grandmother Betty’s van, which I named “Betty the Grey Wolf.” It was one of the scariest things I’ve ever done but I knew that I had to make the leap to follow my dreams. What’s been your most epic adventure? It’s impossible to pick just one, but a few of my most memorable experiences were experiencing totality (total darkness) during the solar eclipse in Casper, Wyoming last year and seeing bioluminescence illuminate the waves in Olympic National Park in Washington under the Milky Way. Like the question above, I find it so hard to choose just one favorite because of the diversity of landscapes I’ve been able to see around the world. 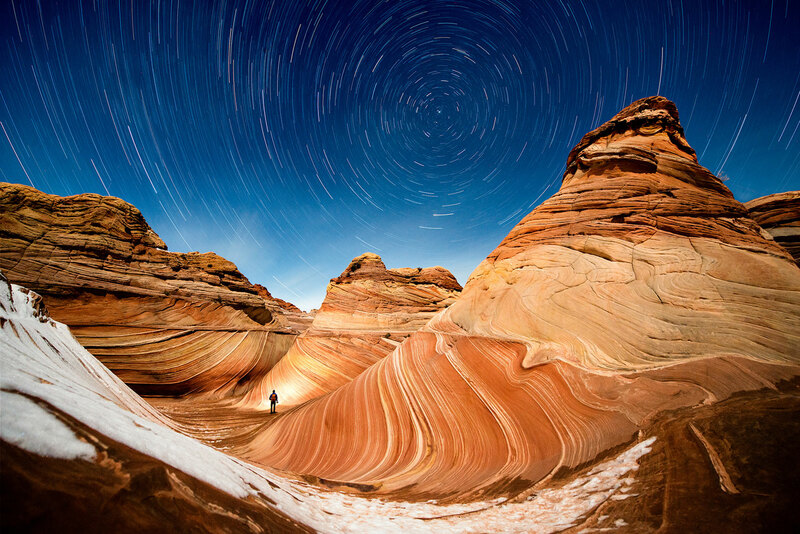 One standout hike was The Wave in Arizona. You need a permit for it, but they give you something like a treasure map with images and descriptions because there’s no actual trail. You’re just following this map and looking for certain geographical markers to find your way across this vast landscape. It’s a really unique and beautiful hike. I’ve taken a couple of my favorite images there. Complete the sentence Go _______ it. How did you get into tight roping and what’s been your most extreme tight rope? I was doing a shoot for one of my sponsors about six years ago and they wanted me to photograph one of their athletes. I went into it not knowing what I was getting into. They were highlining (also called slacklining) across this canyon in central California, and this guy happened to be one of the best in the world. So I spent the day with him and his friend photographing them, and I was completely blown away by it and totally inspired. I had a million questions. They explained that you have to put in a lot of practice in the park between two trees before you can do it across a huge gap like this. The next week I went out and bought my first slackline and started practicing. 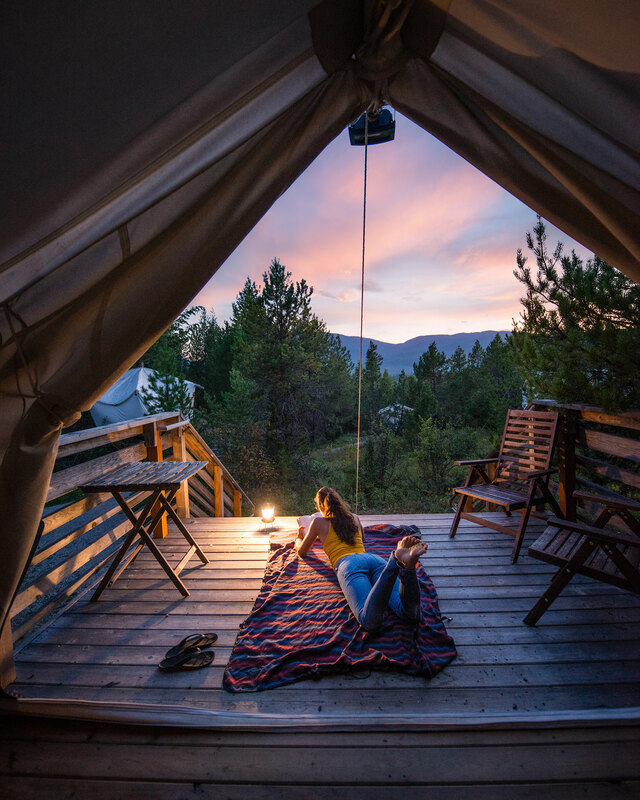 I would just set it up any time I stopped on my road trips and needed a break. 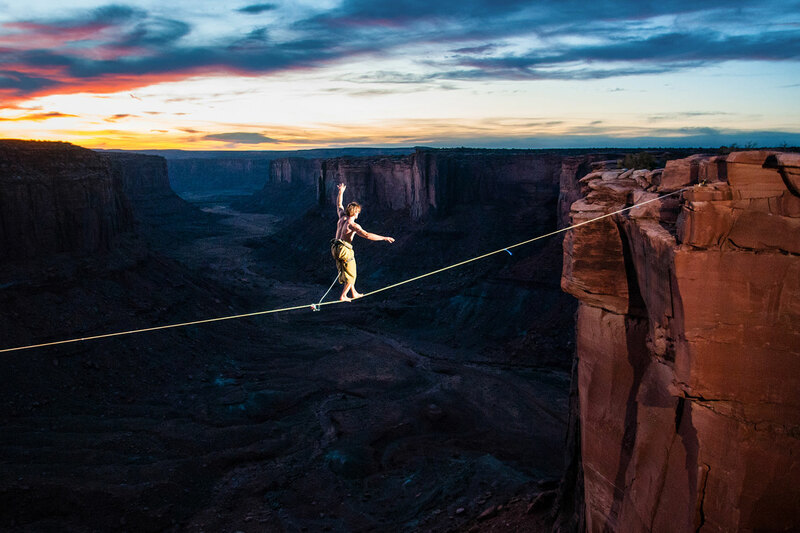 There are so many different factors that make highlining feel extreme, from walking out over the Oregon coastline with waves crashing below me to highlining in Yosemite above some of the tallest cliffs in the country. To see more of Travis’ adventures, visit TravisBurkePhotography.com or Instagram.com/TravisBurke. 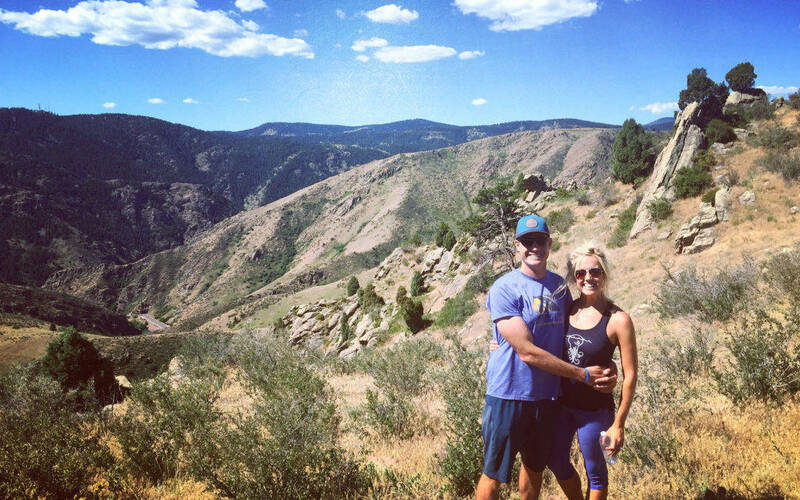 Hike the Cedar Gulch trail in Golden, CO and complete the Mt. Galbraith Loop. See panoramic views of Colorado’s beautiful forest landscape. 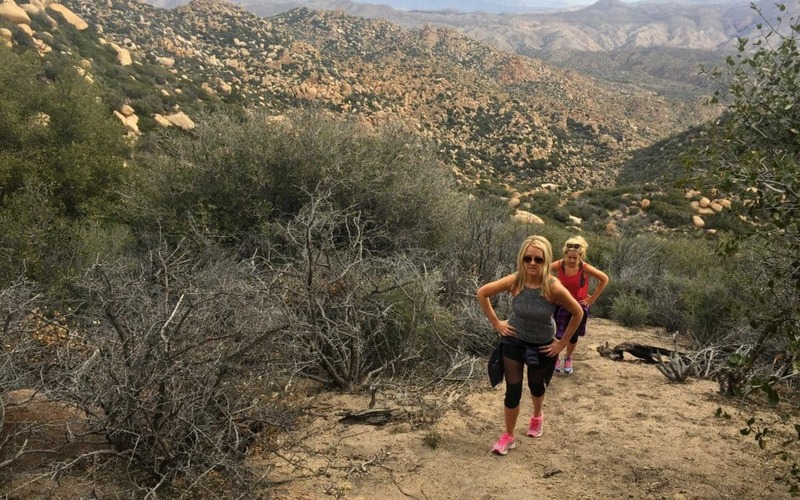 Discover the best hiking trails in Lake Arrowhead, CA. See detailed Lake Arrowhead hiking trail maps, guides and pictures of the best lake & mountain hikes. 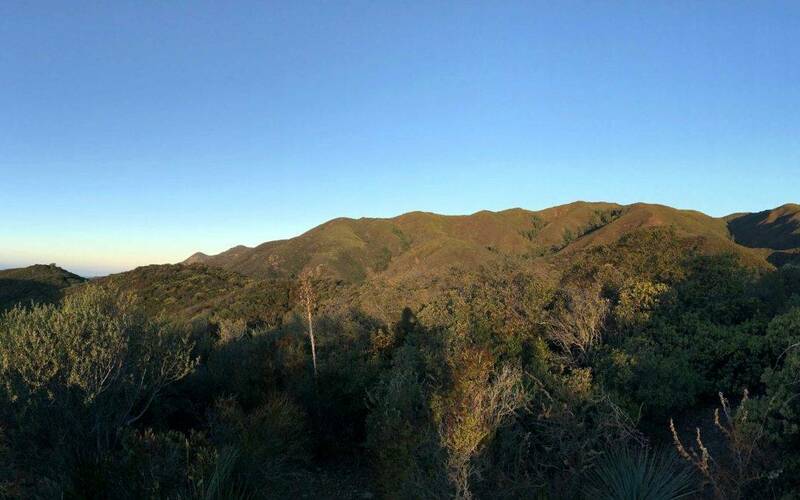 Discover the San Juan Trail Loop in the Cleveland National Forest with this overnight camping adventure at the Blue Jay Campground near Lake Elsinore, CA.